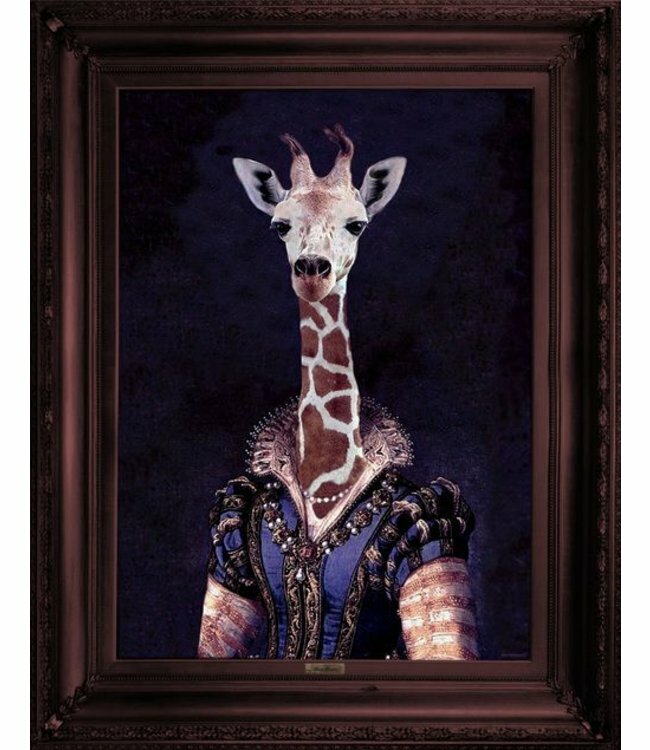 These prints always carefully matche each animal personality with its clothing to create a striking but lovable character and here brings us Dame Giralda the most exotic giraffe dressed in her finery looking down imperiously from her perch high on the wall. For maximum effect, team Dame Giralda with some of the other portraits to create a wall of curious ancestors. Made in England.